Background: The aim of this study was to evaluate the long-term results after laparoscopic common bile duct exploration (LCBDE). Methods: A retrospective review of 175 consecutive patients who underwent attempted LCBDE between 1992 and 1999 was conducted. 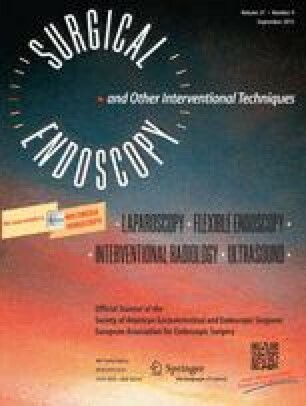 Laparoscopic transcystic exploration was accomplished in 110 patients and laparoscopic choledochotomy in 52 patients. Conversion to an open common bile duct exploration was required for 13 patients (7.4%). Retained common bile duct stones occurred in eight patients (4.6%). The 30-day postoperative morbidity was 6.9%, and there was no 30-day mortality. All the patients (alive and localized) received a questionnaire evaluating long-term results. Results: Of the 175 patients, 169 (4 unrelated deaths and 2 patients lost to follow-up evaluation) received and 152 (90%) returned the questionnaire. The follow-up period ranged from 6 to 72 months (median, 36 months). One patient developed recurrent common bile duct stones. There were no signs or evidence of common bile duct stricture in any patient. Conclusion: The LCBDE procedure can be performed without increased risk of late bile duct complications.